We’ve been inside Mexican emergency rooms. See what you absolutely must know about staying healthy in Mexico and what to do if you get sick. Will Medicare cover you? How about private insurance? Get the facts on the most important issue of all: your health. It could save your life! You can’t make an informed purchase without reading this report. It’s free! Just register with the form to the right. 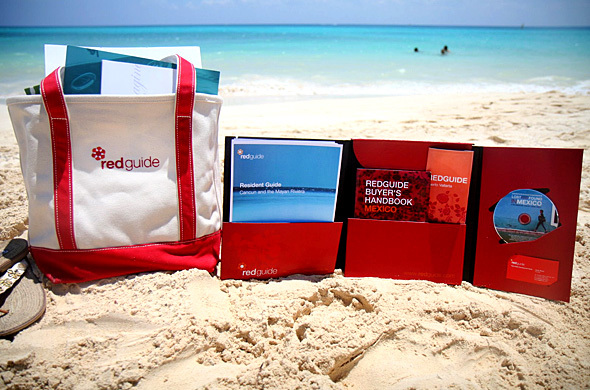 REGISTER TODAY AND WE’LL SEND YOU OUR REDGUIDE DREAM BAG FOR FREE! Get this gorgeous beach bag with brochures from the top new real estate developments in Vallarta. Fill out the registration form on the right and we’ll tell you how to get your free Dream Bag. Redguide gives you the tools you need to find your dream home. Register to Download the Premium Report! Yes, send me Redguide's Resort Real Estate Newsletter. Yes, please contact me about properties that could be of interest.